KANSAS CITY, Mo.—At a recent meeting of the City Council of Kansas City, Mo., Mayor Sly James confirmed two new appointees to the Board of Directors for Visit KC. Councilmen Lee Barnes, Jr., and Dan Fowler will join the 30-person board for the hospitality and tourism organization, succeeding outgoing Councilwoman Jan Marcason and newly-appointed Mayor Pro Tem Scott Wagner. Representing Kansas City’s 2nd District, Dan Fowler has been involved in public service for more than 25 years, serving several community service programs such as Northland Neighborhoods, Inc., Northland Health Care Access and the Port Authority of Kansas City. 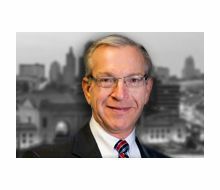 Fowler has practiced law in the Kansas City area for more than 30 years and is currently a member of Collins Fowler LLC, specializing in general commercial litigation, general business law and family law. He is a graduate of Kansas State University and the Georgetown University Law Center. A native of Kansas City, Mo., Lee Barnes, Jr., represents Kansas City’s 5th District at-large. Before his election, Barnes served as the Director of Operations for the Swope Corridor Renaissance/Upper Room, Inc., a non-profit organization. 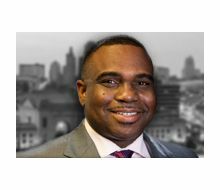 A graduate of Kansas State University, he previously served as an At-Large member of the Kansas City Missouri School District Board of Education, where he was elected to the position of Treasurer. “I applaud Mayor James’ selections and look forward to working closely with these distinguished gentlemen—as well as the rest of the City Council—as Kansas City continues to position itself as a vibrant, top-of-mind destination for meetings, conventions and leisure travel,” said Brenda Tinnen, Visit KC Board Chair. The Visit KC Board of Directors is comprised of up to 30 civic and business leaders from the greater Kansas City area. The Mayor of Kansas City, Missouri, with the advice and consent of the City Council, appoints 15 members and the Visit KC Board elects up to 15 members. 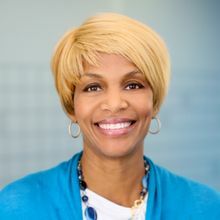 The Board is chaired by Brenda Tinnen, General Manager/Senior Vice President for AEG-Kansas City Sprint Center, whose two-year term expires in December. 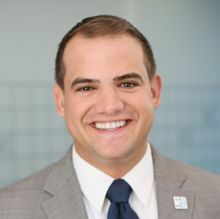 Troy A. Stremming (Immediate Past Chair); Executive Vice President of Government Relations & Public Affairs, Pinnacle Entertainment, Inc.
Visit KC is a non-profit organization whose mission is to ignite global passion for visiting Kansas City. Through marketing, sales and service of the convention and tourism industries, Visit KC supports a vital and growing component of the local economy—generating more than 45,000 jobs and $4.6 billion in economic impact annually. For more information about the organization or Kansas City, go to VisitKC.com.